Proteins are fundamental to the structure and function of cells. Proteomics studies the diverse set of proteins within cells, their proteome. Our researchers are using proteomics to better understand how proteins function in health and disease. This is providing new avenues for diagnosis and treatment of disease. Characterising the proteins involved in health and disease to understand their function. Developing proteomic strategies to improve diagnosis of diseases, including malaria and rheumatoid arthritis. 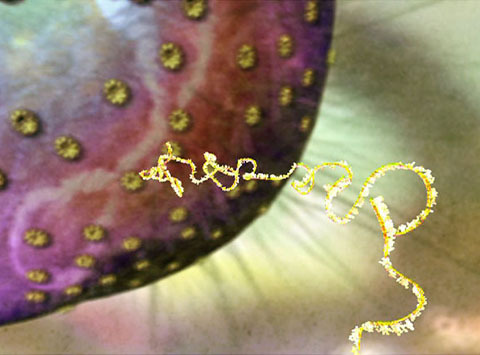 Proteins are intricate molecules that are crucial for processes that make cells function. Proteomics studies the proteins produced by cells, called the proteome. Within the same cell over time, such as in response to a stimulus. Between different types of cells, such as a neuron versus a red blood cell. The different types of proteins present. The amounts of each protein. Small chemical changes to proteins, such as phosphorylation (addition of a phosphate group). These differences can be linked to changes that occur in cells to cause disease, or in response to a disease. Studying proteomes can provide insights into cell behaviour that may not be reached by looking at a few individual proteins. Proteomics also allows researchers to discover previously unknown changes in individual proteins that may not have been considered in studies of single proteins. Proteomics also complements genomics research, as changes in a cell’s genetic material do not always reflect changes within the proteome. Cells contain thousands of different proteins that can be present in different amounts, and many proteins can be subtly modified. Our proteomics researchers rely on high-throughput techniques to rapidly assess and compare the proteomes of different samples. Linking changes in one protein or gene with subsequent effects on many other proteins, to better understand how that protein or gene functions. Discovering changes in proteins within cells that explain how the cells function, or how they change in a disease. This may give clues to new treatments. Defining proteomic changes that can be used to diagnose a disease, or indicate the best treatment for an individual’s disease. This is one aspect of personalised medicine. Many changes occurring within cells in health or disease are subtle and complex. Understanding slight changes in a cell’s genetic material (genome), coupled with changes in the proteome, can provide new insights into diseases. Systems biology brings proteomic and genomic information together. This can be a powerful approach to understanding how diseases occur, and how they may be better diagnosed and treated. 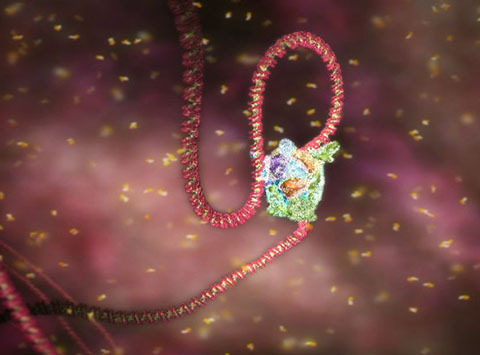 WEHI.TV animation: various DNA molecular visualisations derived from x-ray crystallography and other data sets, and imbued with dynamic movement that suggest brownian motion. WEHI.TV animation: created for a major trans-national production effort to raise awareness, educate and promote DNA science to the wider community, coinciding with the 50th anniversary of the discovery of the double helix.